OpenTable released its annual list of “100 Most Romantic Restaurants in America” on Wednesday, and one Chattanooga restaurant made the cut. St. John’s Restaurant, 1278 Market St., is the only local restaurant on the list, along with three from Memphis. OpenTable, a provider of online restaurant reservations and part of Booking Holdings Inc., culled the 100 winners from more than 12 million verified diner reviews from over 28,000 restaurants in 50 states and Washington, D.C. The winners represent 33 states and spotlight romantic locations that’ll set the mood for a romantic Valentine’s Day dinner. Find the full list at www.opentable.com/lists/most-romantic-restaurants-2019. Valentine's Day is the second busiest day of the year for restaurants in America — only Mother's Day tops it — with Zagat reporting that 53 percent of couples will go out for a romantic meal. With Valentine's Day one week away, local restaurants are announcing specials for Feb. 14, many that will require reservations. Makenzy Davis, Puckett's Gro. & Restaurant spokeswoman, says the downtown restaurant will host a special dinner and show for Valentine's Day. Husband-and-wife duo Drakeford will perform from 7:30 to 9 p.m. There is no cover, but tips for the artists are appreciated. In addition to Puckett's regular menu, there will be several dinner specials offered that night. 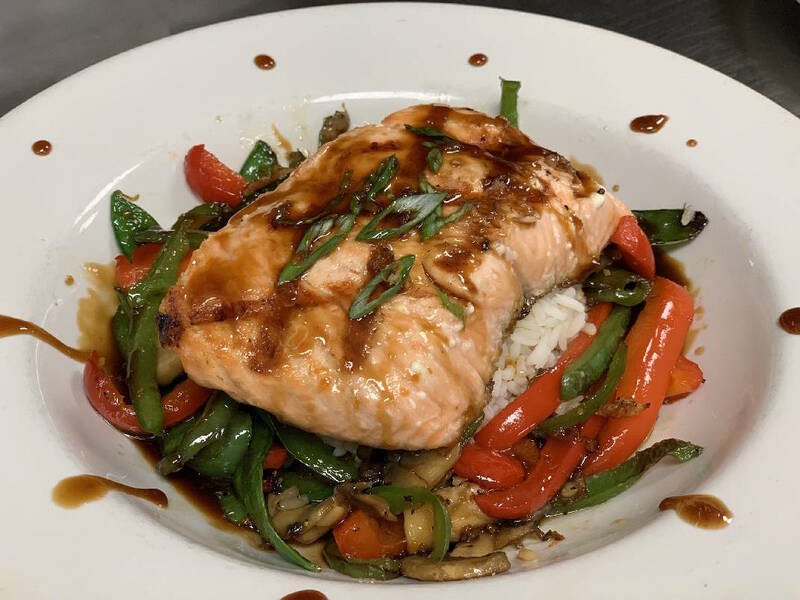 These include hibachi salmon on a bed of jasmine rice with sautéed veggies and an orange teriyaki sauce ($21.99), stuffed pork loin with two sides ($17.99), chicken cordon bleu served with two sides ($19.99), grilled chicken Asian salad ($15.99), and strawberry cheesecake for dessert ($7.99). For show and dinner reservations: 423-708-8505. There is something special about a romantic dinner with the one you love most — especially when it's a scratch-made Southern meal such as the entrees at Tupelo Honey. The restaurant's chefs prepare each dish with fresh, responsibly sourced, sustainable ingredients. New to the menu just in time for Valentine's Day is Winter Filet, $28. 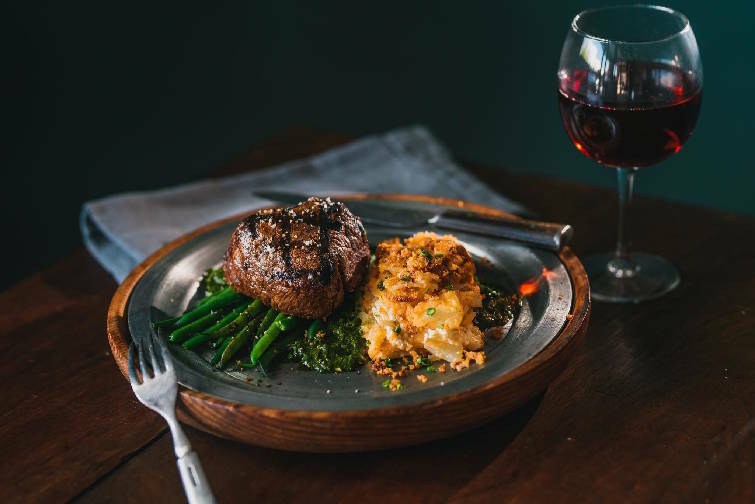 The entree is a pasture-raised beef filet with cheesy potato gratin, biscuit crumble and sauteed green beans. * 2200 Hamilton Place Blvd. * 4499 Keith St., Cleveland, Tenn.
A Google Trends survey found that Italian cuisine is the most popular choice for dinner on Valentine's Day. Perhaps that explains why the Olive Garden chain announced in 2017 that Valentine's Day was its top day of the year for takeout orders. 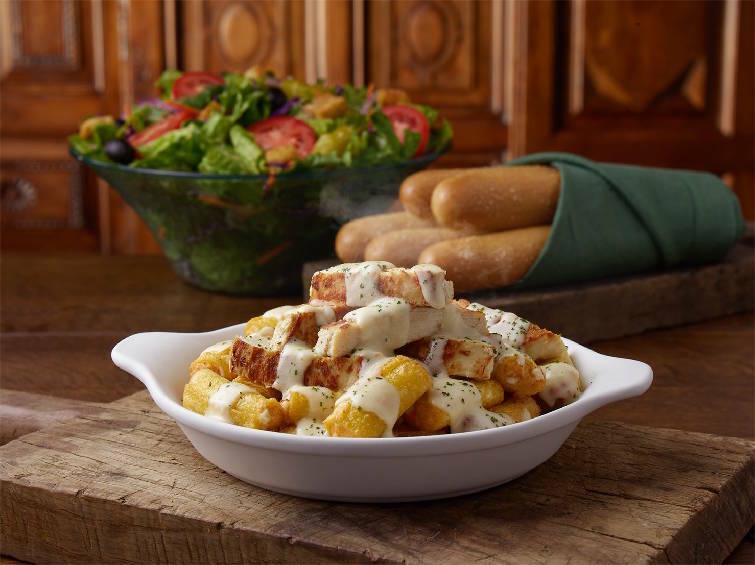 Whether dining in or taking it home, consumers will find Olive Garden has taken its "Never Ending" meals to the next level with its first Never Ending Stuffed Pastas, including the new Stuffed Ziti Fritta, which is ziti stuffed with four cheeses and lightly fried. Guests can create their own pasta combinations by choosing from four stuffed pastas to pair with their choice of four sauces and five toppings. Never Ending Stuffed Pastas start at $12.99 and include unlimited bread sticks and homemade soup or salad. There's more amore at Carrabba's where the restaurant is offering its season of love specials now through Feb. 17. The restaurant is offering a four-course dinner for two starting at $45. It begins with an appetizer to share, choosing one of three options. Next choose two entrees from three price levels, which come with either a cup of soup or side salad. Options at the $45 price level are Tuscan-grilled chicken, Linguine Positano with chicken, lasagna, or spaghetti and meatballs. At the $65 price level, options are a 9-ounce Tuscan-grilled filet, chicken trio, The Johnny or Tuscan-grilled ribeye with spicy Sicilian butter. The meal wraps up with a dessert to share: either cannoli cake or Sogno di Cioccolata. There are also special entrees offered for valentines dining: Champagne Chicken ($19.99), Pasta Georgio ($17.49), or Tuscan-grilled filet with garlic aioli ($25.49). Finish your night out with a swoon-worthy sweet. Dairy Queen's Dipped Strawberry Blizzard, a hit last year, is back in the chain's stores this month. This Valentine's treat is like an ice cream version of a chocolate-covered strawberry. It's made with vanilla soft serve blended with pieces of Ghirardelli chocolate and strawberry topping. It's priced at $4.47 for a small, $5.56 for the large blizzard.